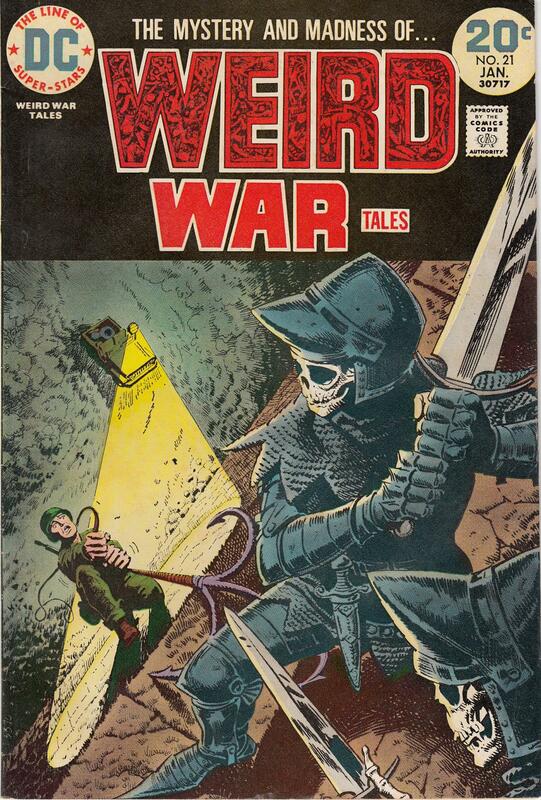 You can still buy the original Weird War Tales #21 at a decent price if you don’t mind VG to VG+ copies. 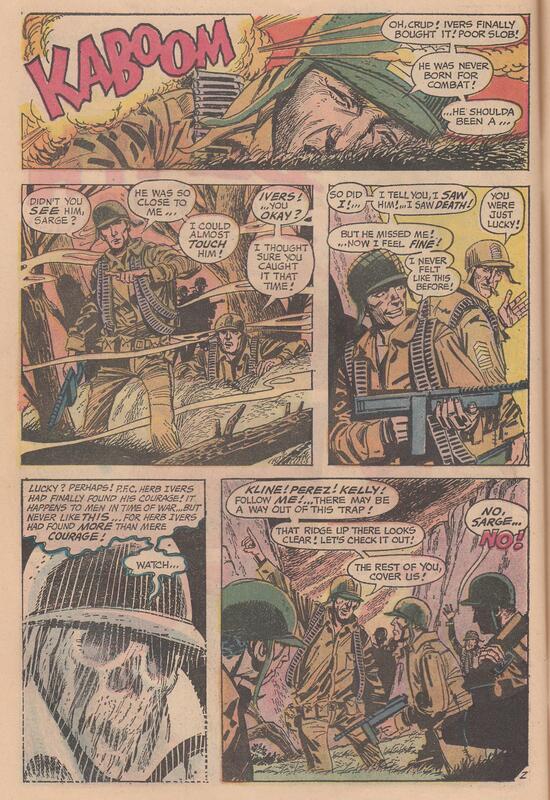 Printed by DC Comics in the early 1970s, Weird War Tales also makes regular appearances on eBay where you can often score inexpensive lots of several issues at once. The stories blend sci-fi, horror, and fantasy elements into vignettes about war and combat. Pretty much anything goes in these tales as long as there’s a war on! The first story, One Hour to Kill, gives us a man tasked with traveling back in time to kill Leonardo da Vinci before Leo can establish an early design for guns, thereby eliminating from history all human suffering caused by our propensity to shoot each other with small projectiles at high velocities. 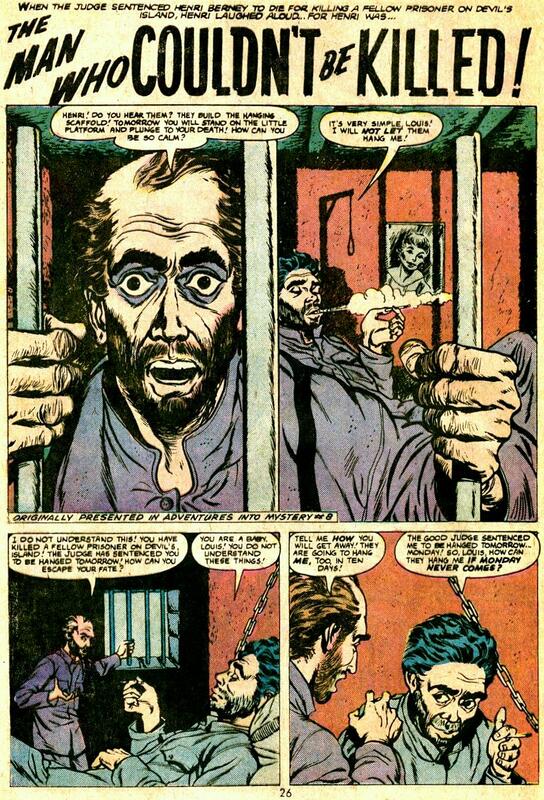 It turns out pretty much like every EC Comics story that had a similar idea in the 1950s, but that doesn’t stop it from being fun. 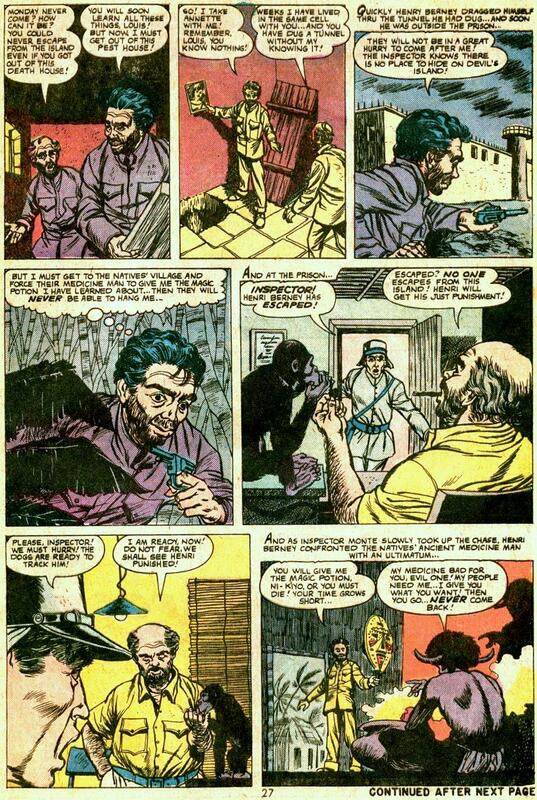 Here are the last three pages, below, where the tale reaches its climax. Another story, When Death Took a Hand, stood out to us not simply as a worthy ghost story but as an example of a pretty sweet art technique. Look how the spooky ghost soldier is rendered. It looks to us like the inker rendered the black shapes and lines of the ghost, but then drew white lines through it with a white pen. 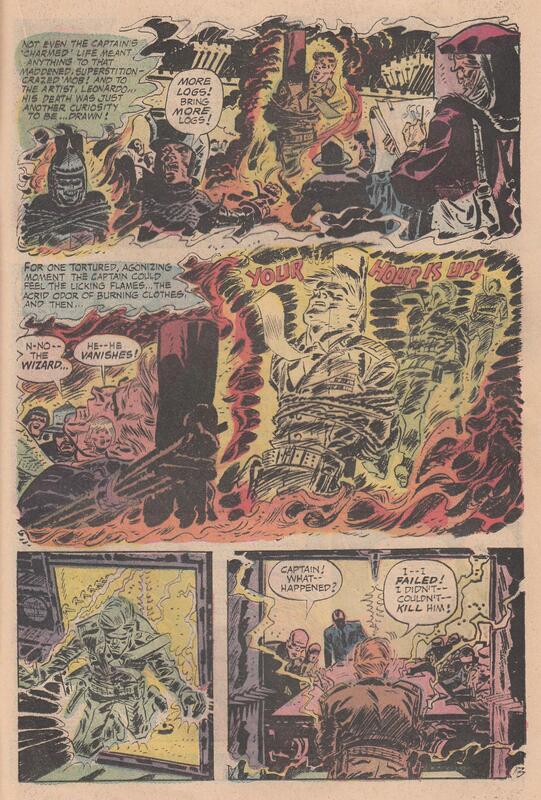 No, that’s not exactly a revolutionary idea to today’s comic book artists, but try digging out any other comic book made in 1974 and finding this cool visual effect. 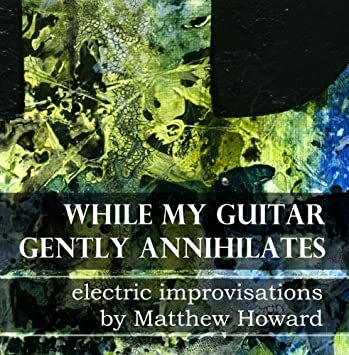 Cover art by Luis Dominguez. 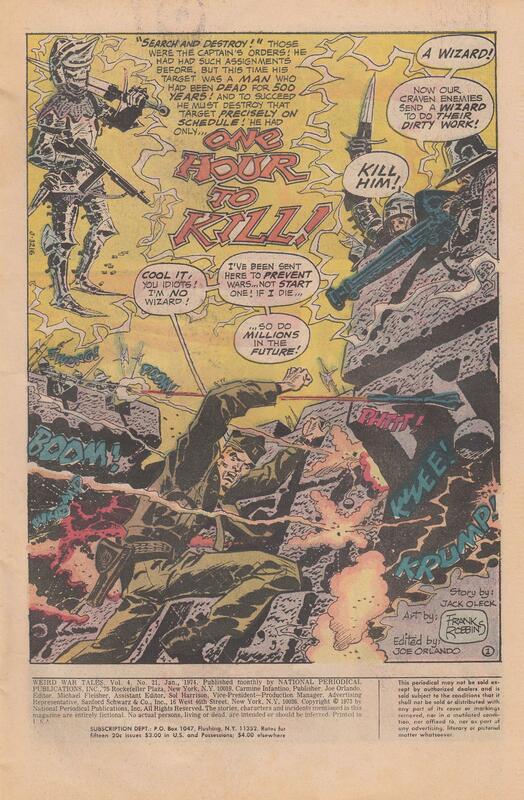 One Hour to Kill script by Jack Oleck, art by Frank Robbins. 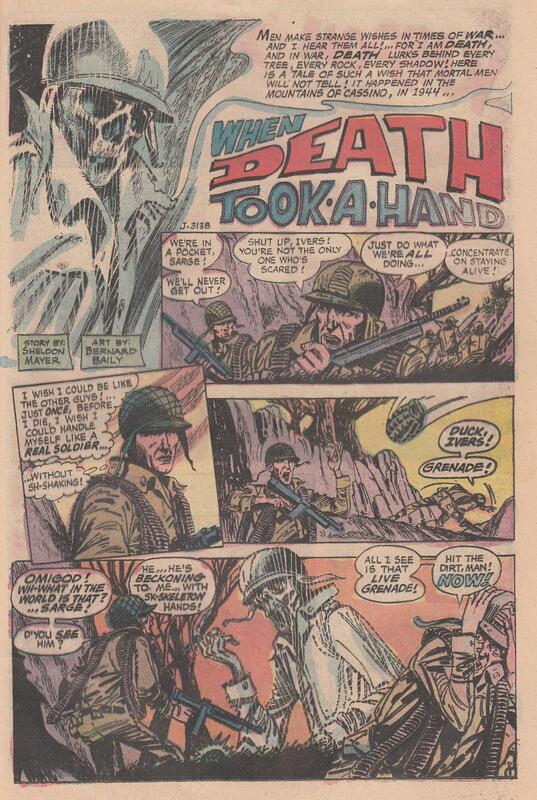 When Death Took a Hand script by Sheldon Mayer, art by Bernard Baily. Joe Orlando, editor. 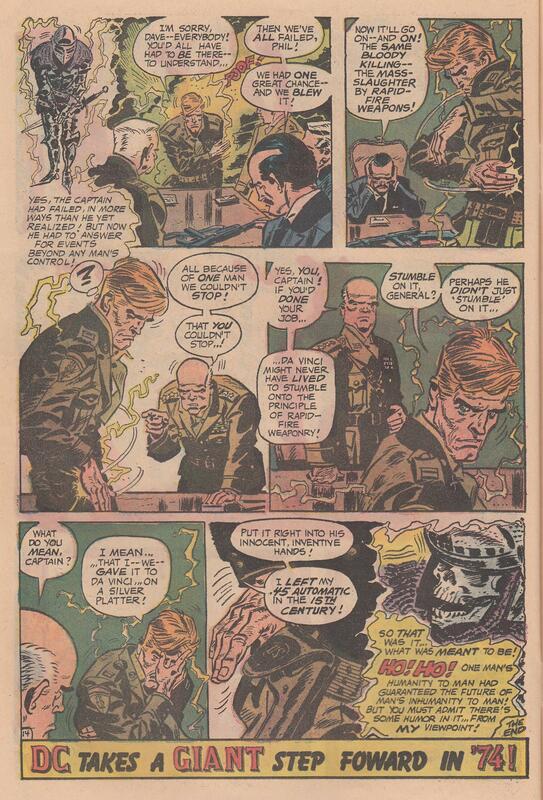 We obtained a handful of vintage Weird War Tales when we bought a friend’s box of 70s and 80s DC Comics back in 2011, and they’ve been fun to read. 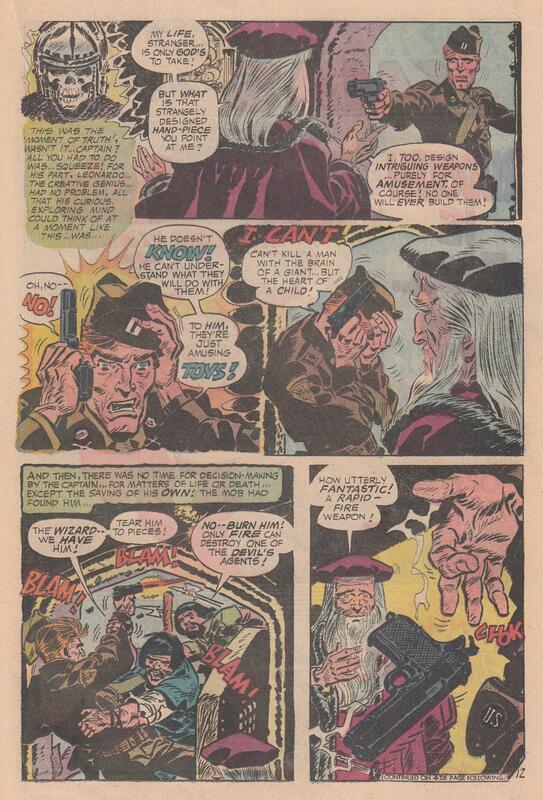 They had some awesome Alex Nino artwork we dutifully scanned for posterity and learning. This one has one of our favorite covers from the lot, and we have a couple more issues we’ll take a look inside here. Strange Tales: The Man Who Couldn’t Be Killed! 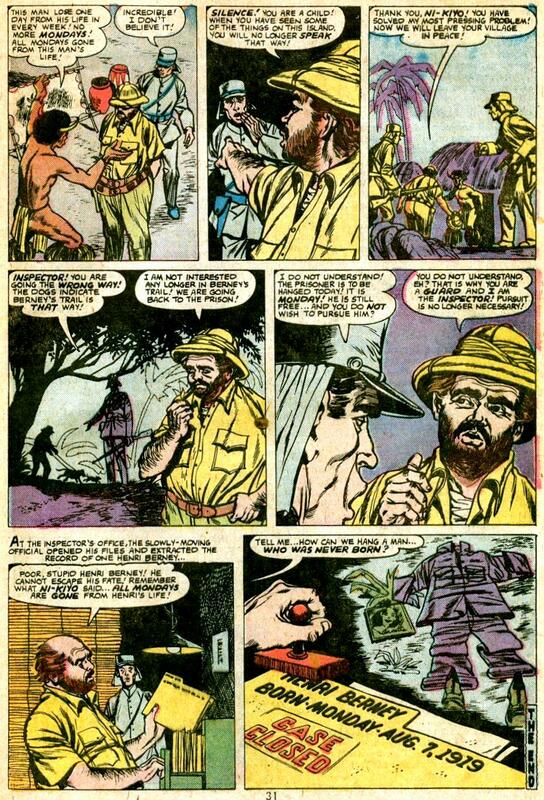 This senses-shattering backup story from Strange Tales #176 in the 1970s originally appeared in Adventure into Mystery #8 from 1957. That’s retro within retro, baby! That’s almost time traveling! You can tell from the cover scan (below) that our personal copy is getting worn out. 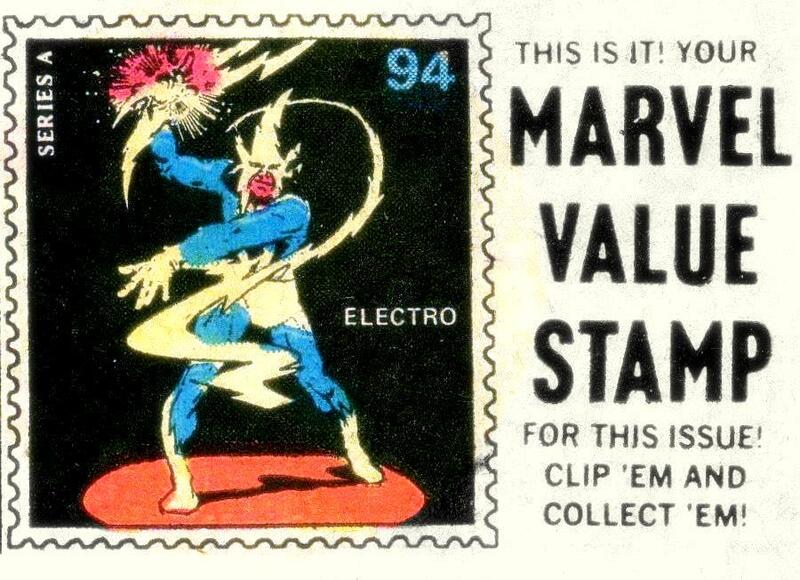 But the Marvel Value Stamp is intact! 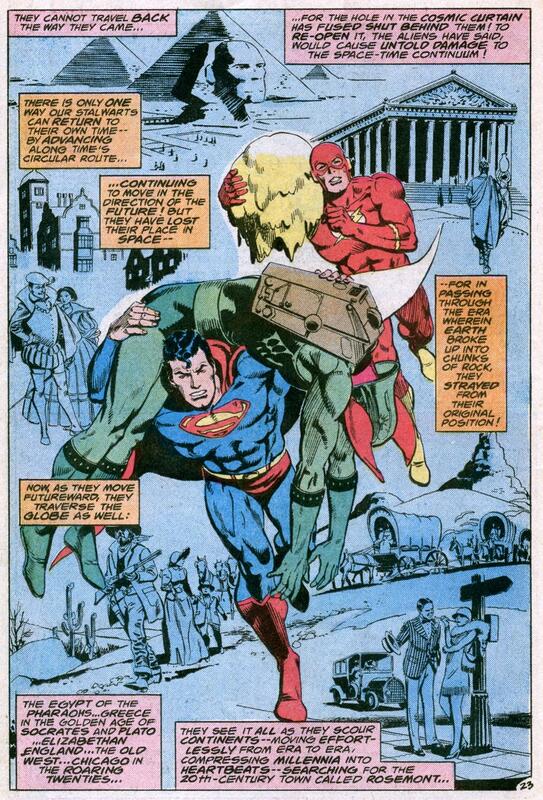 The Flash & Superman Race to the End of Time! 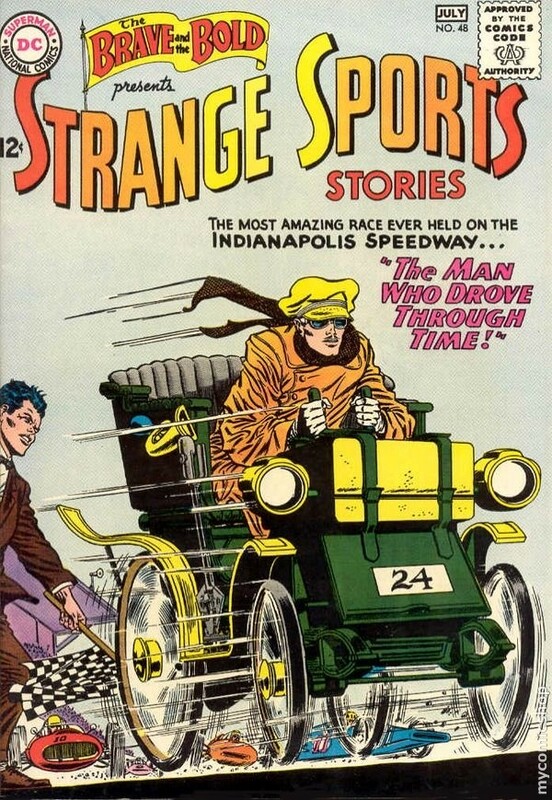 Here’s the second half of the story we looked at yesterday, where Superman and the Flash get roped into racing to the end of time by some freaky aliens. Once they get there, though, they have to travel all the way forward in time to get back to where they started. Why? Because time is a circle! Didn’t you learn anything from yesterday’s post? Anyway, Pasko and Garcia-Lopez give us all of human history in a single splash page! 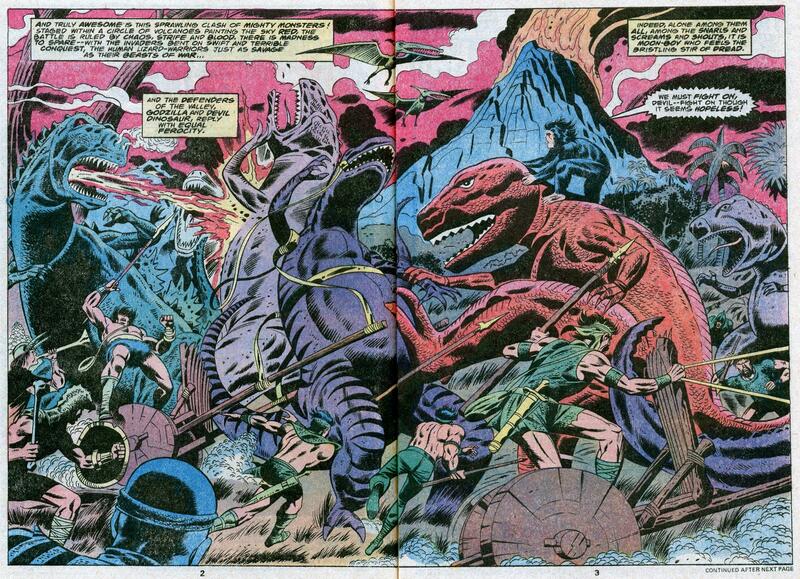 It’s full-flavored Bronze Age DC goodness, Martians. Enjoy! – From DC Comics Presents #1-2; 1978, DC Comics. 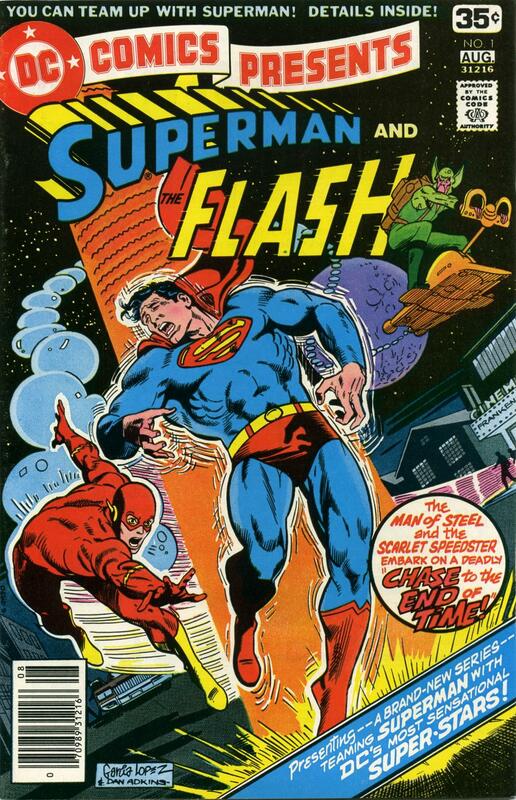 – Reprinted by Whitman, which might save you a few bucks, and in the collection Superman Vs. The Flash. – Reprinted in Showcase Presents DC Comics Presents TPB, 2009. DC Comics Presents – First Issue! Superman and the Flash get roped into racing to the end of time by some freaky aliens. If that doesn’t sound like a premise for greatness, you may be at the wrong website! We’ve got Martin Pasko scripting. You Swamp Thing fans may recall he was on the book for the inception of the second volume. Jose Luis Garcia-Lopez really hits the perfect look for this book; just the right balance of cartoon silly and sci-fi awesome. 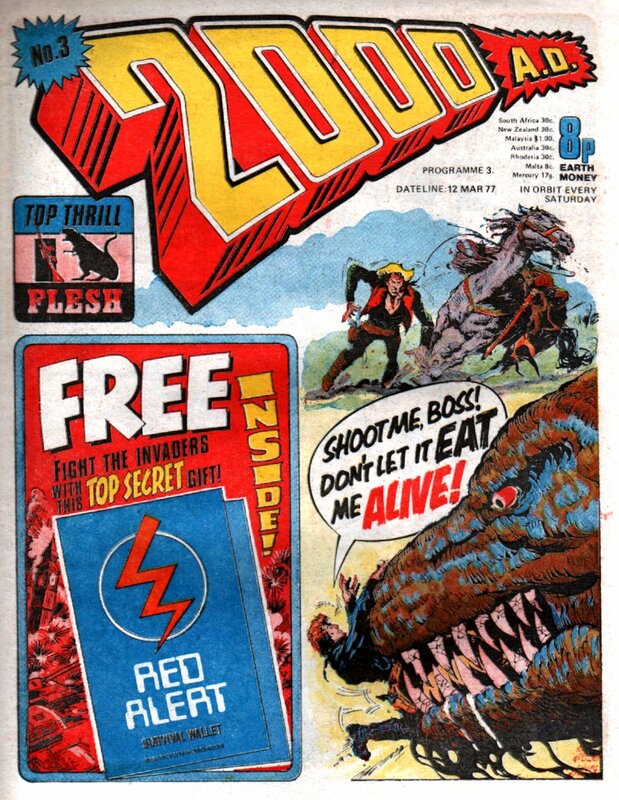 But maybe we’re biased: We first read this as impressionable little Martians close to the time it came out in 1978. So impressionable, in fact, that Pasko’s explanation of time as a circle still seems completely reasonable to us. His aliens explain that if you went to the end of time, you would actually be at the beginning of time… Screw Stephen Hawking, we’re going with Pasko cosmology! 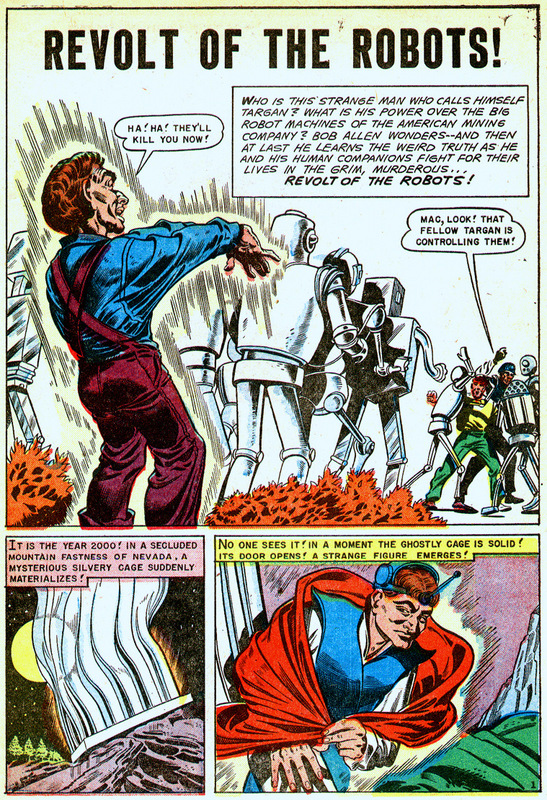 What is the diabolical secret behind the man from the future who pits robot laborers against the humans? You have to wonder if James Cameron read this story before Terminator. – From Space Detective #3. Space Action: Mission into Time! – From Space Action #3. 1952, Ace Magazines. Also including the covers from Space Action #1 and #2 here for your viewing pleasure. 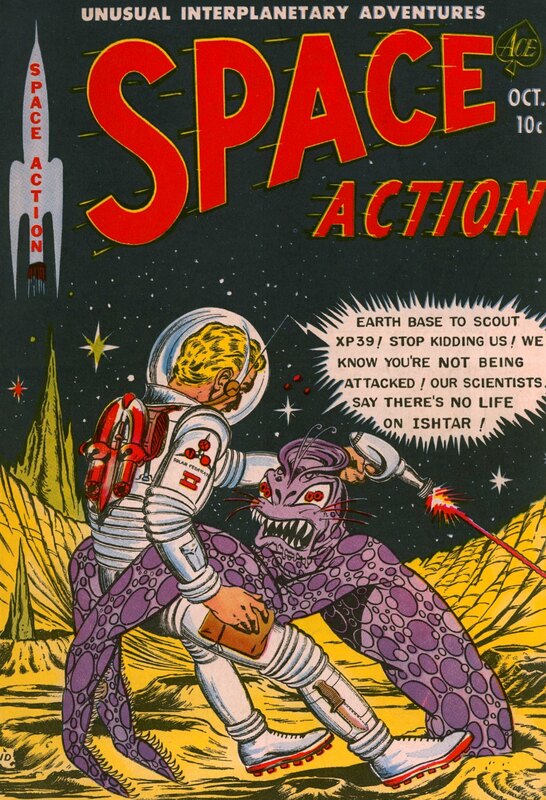 Space Action ran only 3 issues. 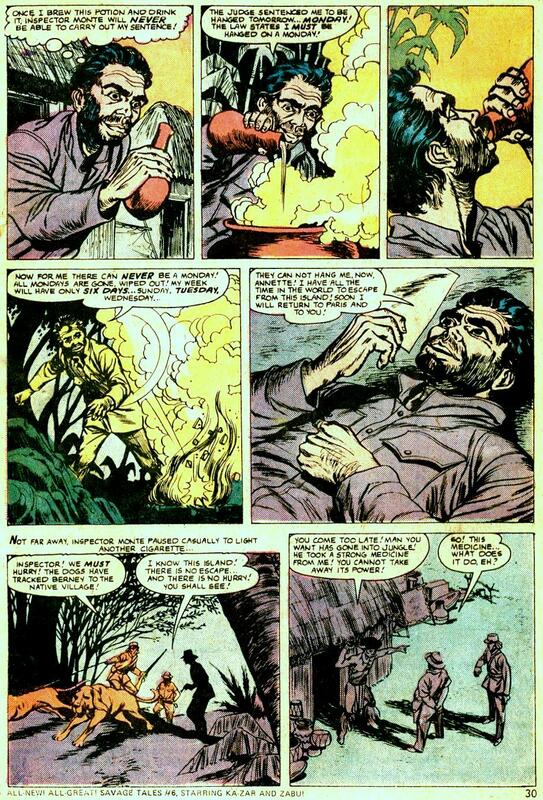 In 1973, Marvel began an 8-issue series called Worlds Unknown. It presented adaptations of science fiction stories. Today we’ll look at our favorite: A Gun for Dinosaur by L. Sprague de Camp, first published in 1956 in the magazine Galaxy Science Fiction. 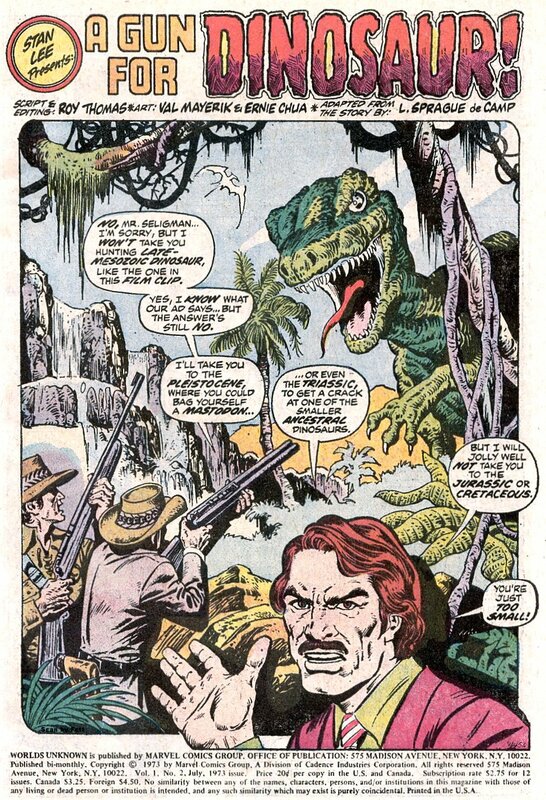 The plot, adapted by Roy Thomas, revolves around using time travel to hunt for dinosaurs. 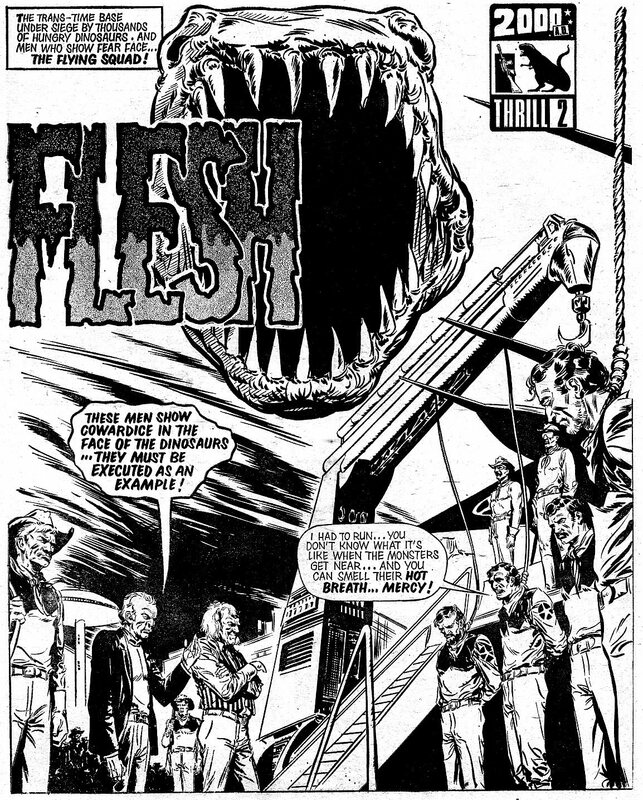 We’ve enjoyed that concept in Sound of Thunder by Ray Bradbury and Flesh by Pat Mills. 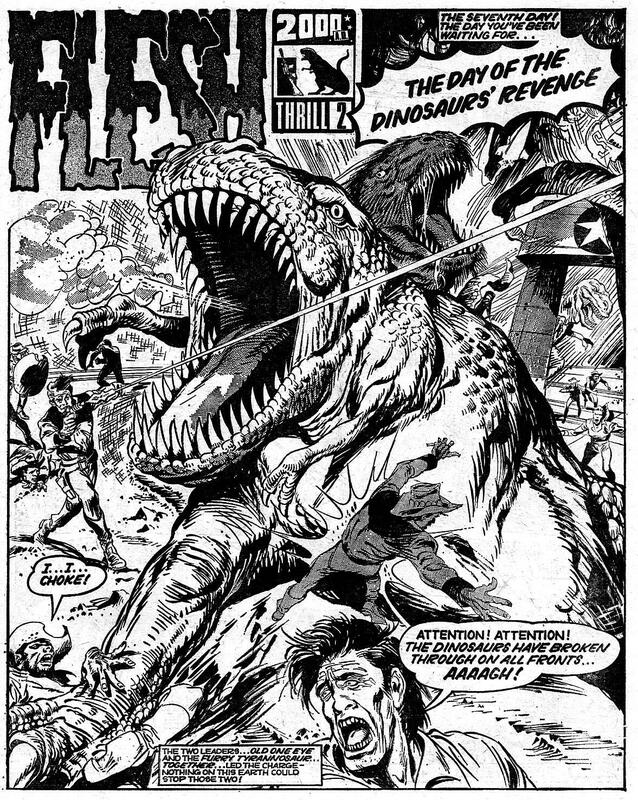 A Gun for Dinosaur is a fun romp of Cretaceous carnage and the usual tough guys working out the pecking order with their fists and weapons. We don’t pretend to be literary critics, but one thing is for sure: That’s not how you draw a Parasaurolophus! They have a tube-shaped whatchamacallit on their head, not this fan-shaped thing dreamed up by artist Val Mayerik. Also, if you’re going to use the word “Ceratopsian,” spell it right! Other than these minor dino quibbles, we give A Gun for Dinosaur two claws up. 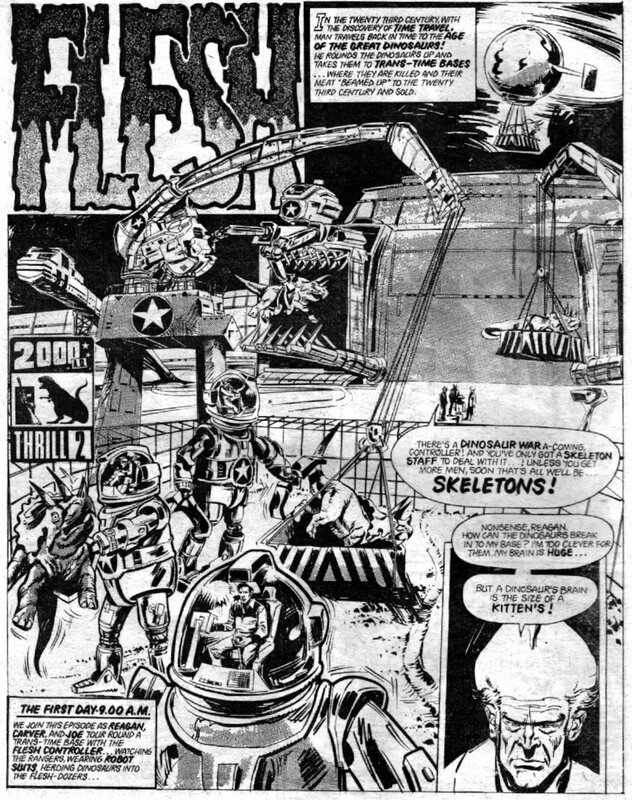 – From Worlds Unknown #2; Marvel, 1973. – L. Sprague de Camp wrote eight more stories about protagonist Reginald Rivers and his time safaris, collected in the book Rivers of Time. 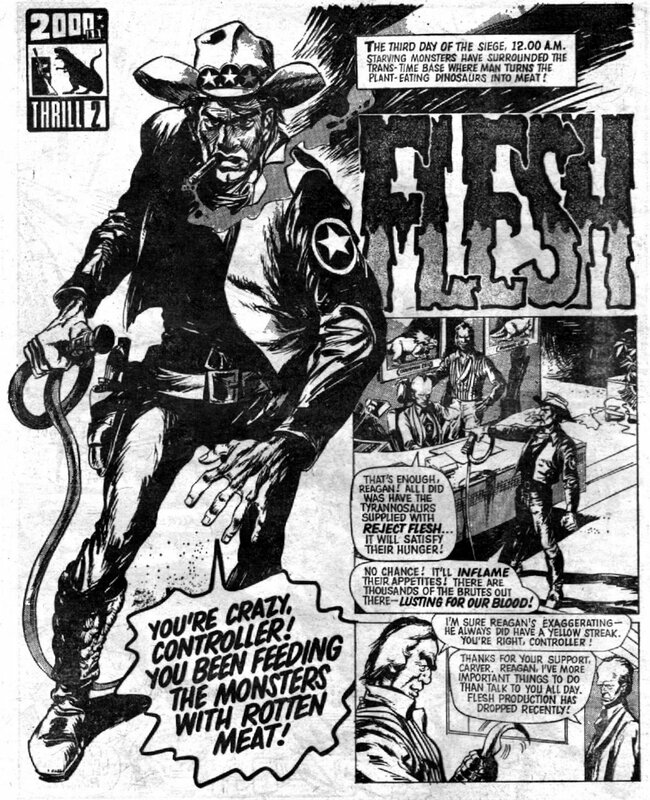 Mars Will Send No More celebrates the original epic Flesh from 2000 AD magazine, by Pat Mills, and starring Old One Eye, the mother of Satanus! 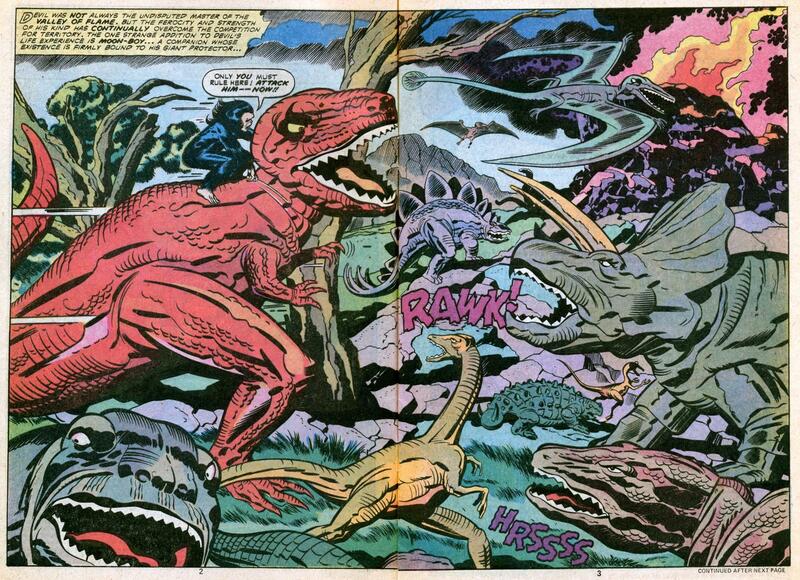 Now fire up your electric whip and get ready for major dinosaur mayhem! You Been Feeding the Monsters with Rotten Meat! There’s a Dinosaur War A-Coming! 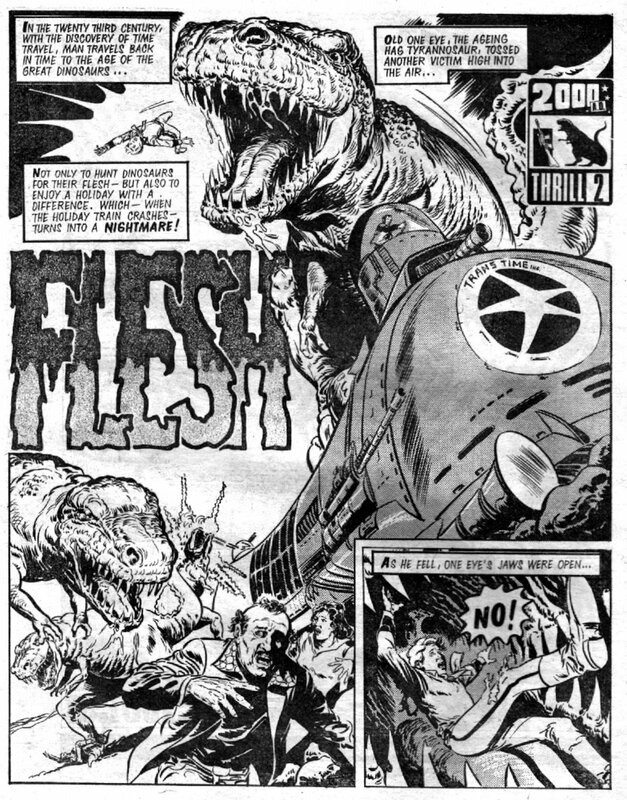 Now fire up your electric whip and get ready for some major dinosaur mayhem!